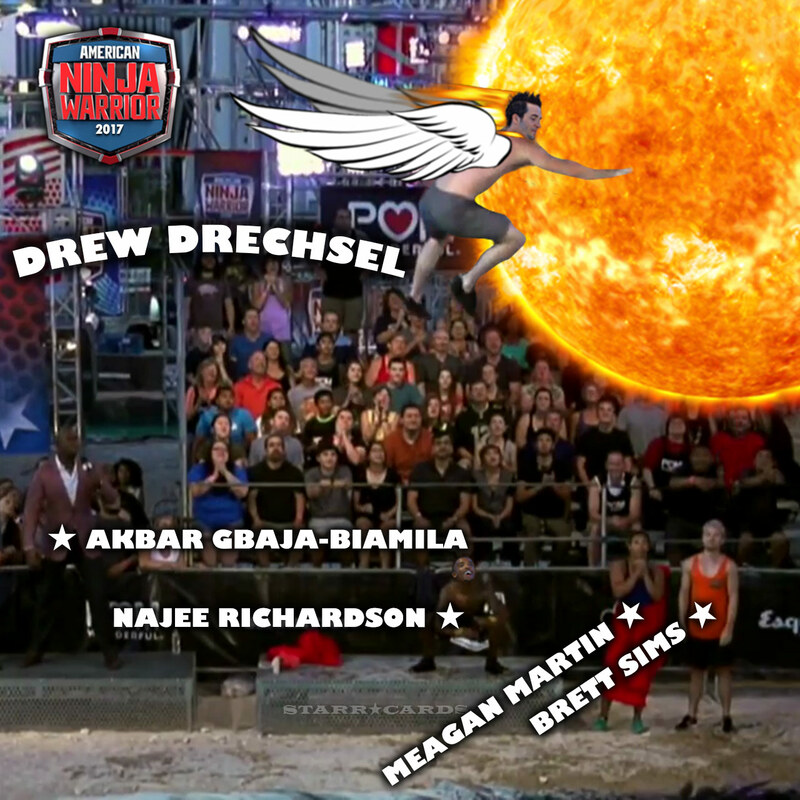 Year after year, parkour pro Drew Drecshel continues to redefine what is humanly possible in the realm of self-propelled flight, and at American Ninja Warrior All Stars 2018 he once again upped the ante. As part of ANW’s skills competition, Drechsel and Najee Richardson kept pushing the envelope on the Wicked Wingnuts obstacle until the distance was set at 20 feet. Gravity finally got the best of Richardson, but Drechsel — as he so often does — rose to the occasion and suggested next year he would go even farther. 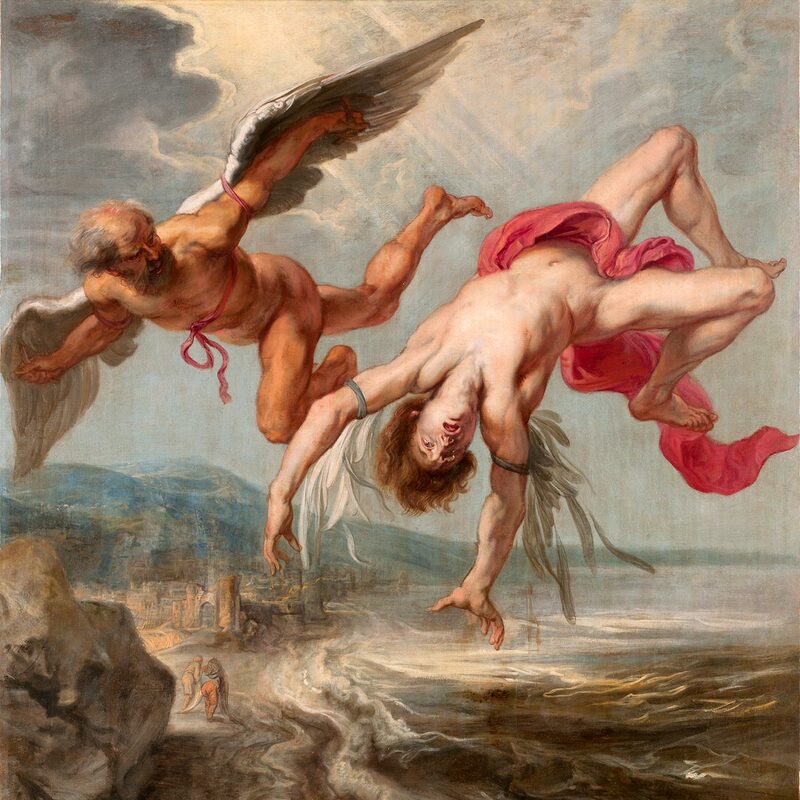 Ancient Greek mythology tells the story of Icarus, who famously ignored his father’s warning about flying too close to the sun. As a result, the wax which had affixed the man-made wings to his body melted, and Icarus plummeted from the sky into the churning sea below. For a modern-day retelling of Icarus’ flight, flash forward a couple of millenia to the outskirts of the Las Vegas strip — site of the sprawling obstacle course for American Ninja Warrior All Stars 2017 competition. As dawn broke on a new Nevada day, the desert sun illuminated a modern-day myth in the making. On an obstacle known as the Super Sonic Shelf, Drechsel suffered his own Icarus-like cumeuppance in an attempt to fly between two small hand grips spaced 15 feet apart over a pool of water. But unlike the man of Greek myth, Drechsel dried himself off and went airbourne once more, this time catching hold of his target and engendering rapturous approval from the assembled audience. ANW commentator Akbar Gbaja-Biamila was left repeating, “The champ is here,” while Drechsel’s fellow competitors — Richardson, Brett Sims and Meagan Martin — applauded in appreciation of his superhuman feat. Drechsel’s ability to fly is no accident. He spends countless hours in the gym training in mid-air acrobatics.